The WCEF2019 will have a strong emphasis on the next era of the circular economy and scaling up the transition. This involves growing investments into circular economy businesses, spreading and adopting new technologies and making significant regulatory changes that enable the circular economy to flourish. 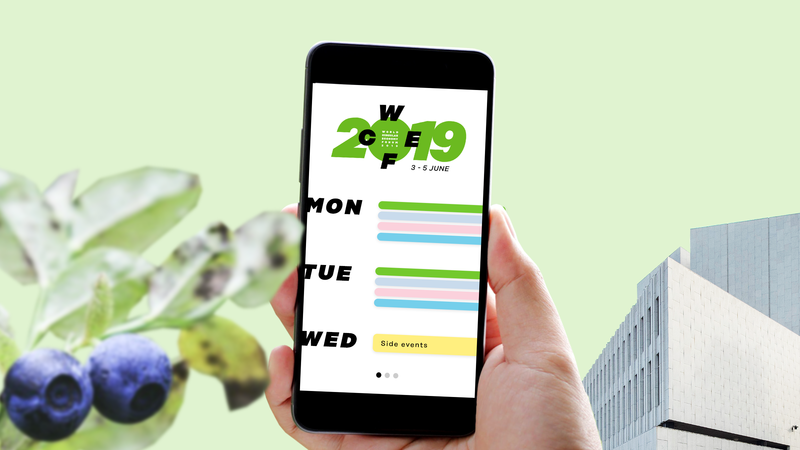 Consisting of 17 plenary and parallel sessions with keynote speeches, thematic discussions and networking opportunities, WCEF2019 is a landmark event of the year. This year, the programme will be divided into four different tracks: innovation, sectoral, strategy and social. There will be several WCEF2019 side events organised on 5 June by our partners. Their programmes will be published here. See you in Canada in 2020! The four different tracks at the WCEF2019 are innovation, sectoral, strategy and social. INNOVATION: This track will cover the role of innovation in transitioning to a circular economy. It will include discussions on new business activities, future technologies and required investments for scaling-up the circular economy. SECTORAL: This track will cover the application of circular economy solutions for different sectors. It will include discussions on circular solutions in cities, and especially for construction and water. STRATEGY: This track will cover strategic planning and execution for the circular economy. It will include discussions on regional, national and local strategies, road maps and indicators as well as the interconnectedness of circularity with climate change. SOCIAL: This track will cover the social impacts and the fairness of the transition to a circular economy. It will include discussions on circular economy in developing countries, the effects on global security as well as present educational and everyday solutions. Want to see the WCEF2019 side sessions? Interested in the WCEF2019 side events?